Have you been searching plumbers near me on Google, but have come up short? Maybe you find plumbers who certainly are not near you, making your plumbers near me search a little difficult. If you are in the Palm Beach County area, then you have finally found the top rated Plumber in Boca Raton FL! Here at South Florida Plumbing and Backflow Boca, we offer expert plumbing services to all of Boca Raton, FL, and Palm Beach County. We are a well-established and professional plumbing company who are completely dedicated to all of our residential and commercial customers. We perform our expert plumber services in a professional and timely manner so that your plumbing issue is resolved quickly. Our expert plumber services include (but are not limited to): kitchen remodeling, bathroom remodeling, water heater installation, water heater replacement, faucet repair, faucet replacement, water heater installation, water heater repair, water filter system installation, and water filter system repair. On top of our expert plumber services, we also offer emergency plumbing services. South Florida Plumbing and Backflow Boca understands that, when it comes to plumbing, anything can happen. A great example of an emergency plumbing service in Boca Raton, FL is a pipe that burst, especially if it is under your kitchen sink! There are many different plumbing emergencies that could possibly happen, and we have an emergency plumbing line for such an issue. South Florida Plumbing and Backflow Boca is completely dedicated to all of our residential and commercial customers, and we always put your plumbing needs first! What makes our plumber services expert plumber services? Simple! Our professional plumbing company is fully staffed with licensed and experiences plumbers who are extremely efficient in their line of work. Each member of our plumbing staff has an up to date license, and practices regularly—ensuring that the plumber service you receive from us will be an expert plumber service. 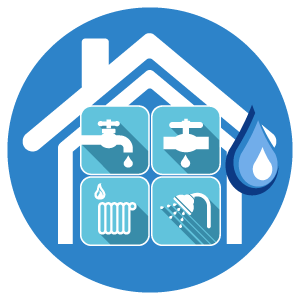 Our plumbing staff also has all of the required knowledge to know the building code—and laws—when it comes to our expert plumber services. While working with us, you do not need to worry about your plumbing fixtures not being up to code, or not properly repaired. Instead, your new or repaired plumbing fixtures will be up to code and properly repaired. The Best Plumbing Services in Boca, or you don't pay! South Florida Plumbing and Backflow will always put the customer first. When plumbing issues arise, we understand that it really puts a damper on the normal functions of your home or business. We do our best to get out to your home or business to perform an expert plumbing service as soon as we possibly can to get the plumbing issue resolved. While we are very consistent with our timing, we never rush perfection! Our plumbing customers deserve a top of the line plumber service, and that is exactly what they will get. You will get a timely expert plumber service that is of the highest quality that you could ever hope for. Throughout the entire plumbing service that we will provide to you, we will keep you in the loop with what is going on—so that you know you are getting the best plumbing service possible. Now your plumbers near me search can come to an end, because you found the best plumbers in Boca Raton, FL.